Parking Enforcement is provided as a customer service for those who have purchased parking. Parking tickets a means of communication to inform our patrons when their vehicles are not parked in accordance to University Parking guidelines. The definition of a “No Parking” area is any area that is not a marked parking stall. Efforts are made by Transportation and Parking Management to keep parking rules and regulations reasonable and strictly enforced. Our aim is to make parking as equitable as possible. We provide annual registration of all vehicles to be parked on the Medical Center and River Campus through the issuance of parking permits to our various zones, lots and garages. Once the app has been downloaded to your phone, press the Parking & Transit icon and view Quick Links to parking information. Use your NetID and password to log into “My Parking Online”. If a parking violation occurs, the registered owner of the vehicle is responsible for payment. 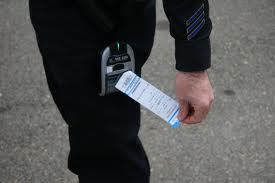 The appeal process allows a customer to appeal a parking citation believed to have been issued in error. The appeal form must be completed within 30 calendar days of the issue date of the citation. Appeals that are submitted beyond the 30 day period or appeals that are vague or incomplete will be rejected. Valid documentation of the evidence must be provided when the appeal is submitted. Appeals may be filed online at My Parking Online . Public access computers are available in various locations on campus and at the Parking Management Center. Wheel-locking (Booting) is an immobilization device used as an alternative to towing a vehicle. When an individual has a history of repeat violations, fails to make payment on promissory note, alters a permit or accumulates unpaid violations, their vehicle may be wheel-locked/booted. The permit holder has until the close of business to respond to the wheel-lock/boot or the vehicle may be towed within 24 hours. Vehicles presenting an immediate public safety hazard, are inoperative or unlicensed will be towed offsite. The permit holder is responsible for the parking violations, wheel-lock/boot fee, towing and any applicable storage fees. Cash or credit card (Visa/Discover/MasterCard) are only accepted for these fees. Personal checks are not accepted.